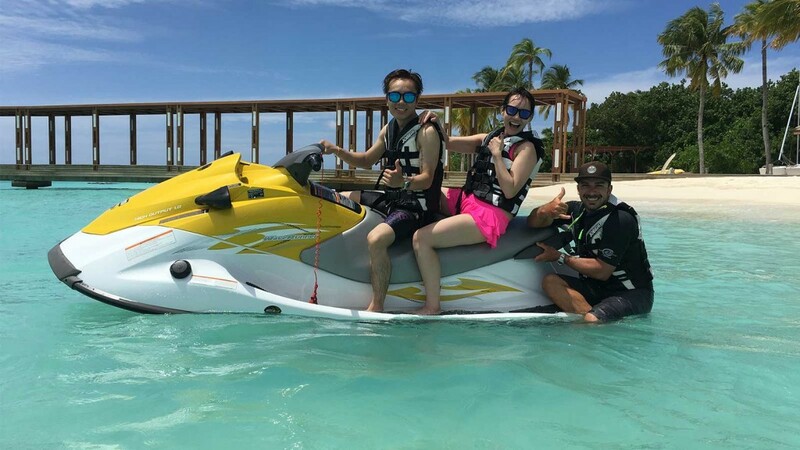 The calm, warm seas around Hurawalhi Maldives are ideal for jet skiing, something that many of our guests like to try out. Since the resort’s opening in December 2016, we took guests on more than 330 rides! Most recently it was Dani and Frida and Tristan and Abigail who joined us for these exciting tours. 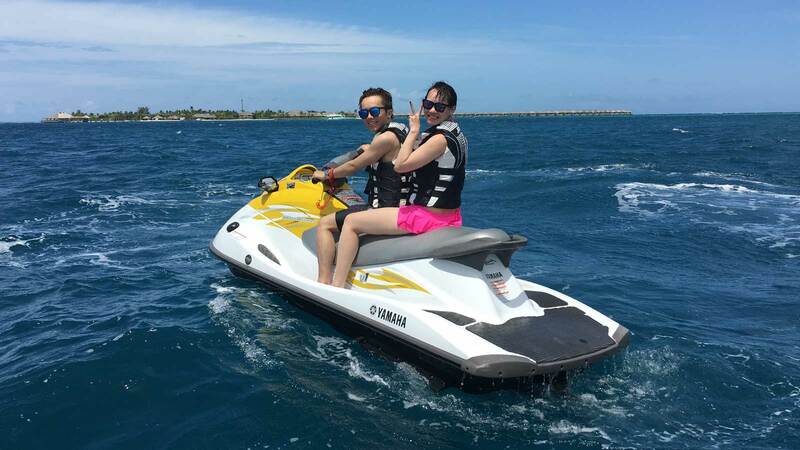 Our guided jet ski adventure trips are as much fun for guides as they are for our guests. Flat water days allow us to almost glide over the deep blue sea at speed, experiencing the power of our 150hp strong jet ski. Dani and Frida really enjoyed feeling the power as they skipped across the water. On other days, when we get slightly choppier conditions, we cruise over waves, feeling alive with splashes of water all around. What’s even better is that, as well as the great fun we can have travelling around the atoll, sometimes we are lucky and encounter dolphins. 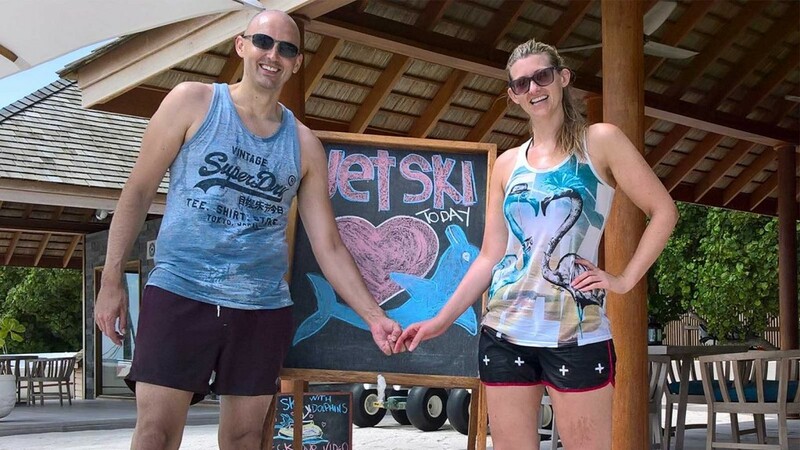 Tristan and Abigail were lucky enough to spend approximately half of their 1-hour ride with around 100-150 dolphins! Our most common encounters are with spinner dolphins, often found in large schools, at times involving hundreds of them. These are very playful creatures and usually give us a great show with impressive aerial acrobatics, or when they race away from the pod to play around us, swimming under the jet ski and riding in its wake. If we are really lucky we also see bottlenose dolphins. These live in smaller pods and tend to be more cautious, especially when they have the young generation with them. We enjoy their presence by watching from farther away, giving them their freedom and space. Whatever the style of the encounter, we definitely never get bored of meeting these beautiful creatures.